Your PDF documents are undoubtedly very important as they contain crucial information that helps with handling tasks in your work of place or school. To enjoy the best PDF experience, you will certainly need a tool that enables you to convert, read or even customize your PDF documents. One of the PDF tools that has proven to be very efficient is the PDFelement. PDFelement is a powerful and easy to use PDF editing software which enables you to create, organize, and secure your files. This software has numerous benefits to offer which include: flexible prices, great modules, and reliable performance, Courtesy of its impeccable abilities, PDFelement is undoubtedly the favorite document management software for numerous reputable companies which include Fortune 500 representatives. The PDFelement software was designed to enhance efficiency and also enable users to enjoy a great experience while using it. This software gives you total control over your content owing to the fact that you can completely transform the PDF content to suit your needs. Apart from customization, PDFelement also has powerful features such as intelligent technology. This technology will come in handy in enabling you to make changes to your document without affecting the format or style. 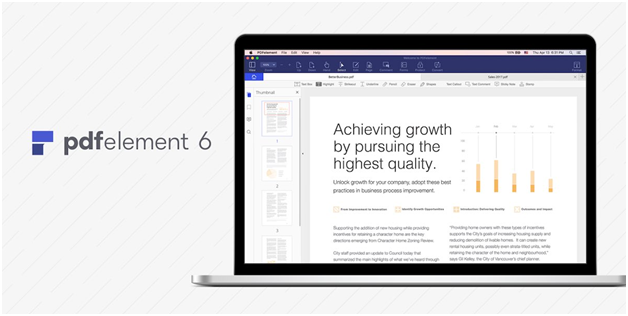 The new PDFelement 6 version promises to have a huge positive impact on small and medium enterprises as they can now customize their workflows to fit their operations. This possibility can be attributed to the top features which include automated form recognition and extraction. This allows users to make amendments to texts with a single click since they can access templates that are ready to be used. 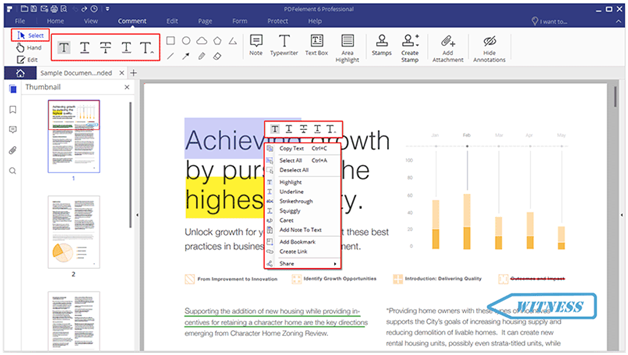 Moreover, the updated tex6t editor will help with recognizing paragraphs intelligently and match the paragraphs with different fonts and styles. And with your data ready, you can export it to the format you desire. When it comes to the security of your documents, PDFelement will not disappoint. This software adopts a complex security feature which is the 256-bit AES encryption for passwords. 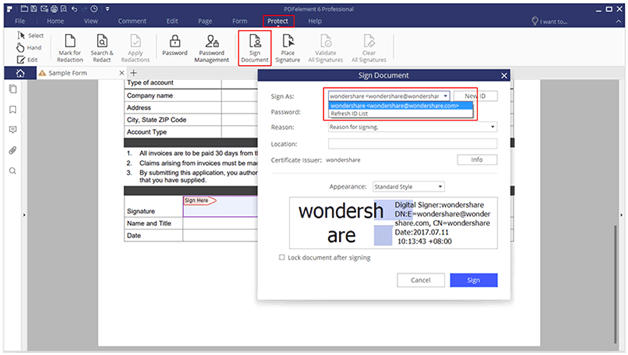 This security feature will enable you to retrieve text easily, efficiently manage and create digital signatures and give permissions to members who are allowed to make changes on the text. 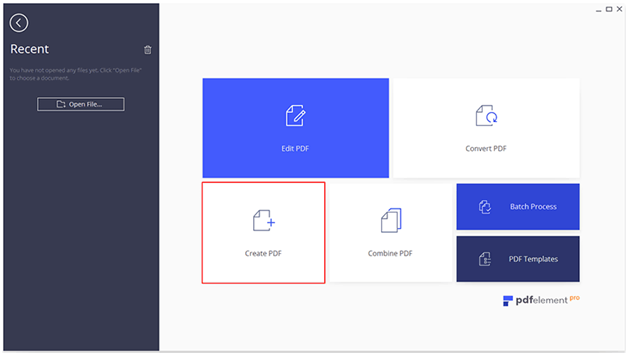 By using PDFelement, you get to enjoy full control over your PDF files. 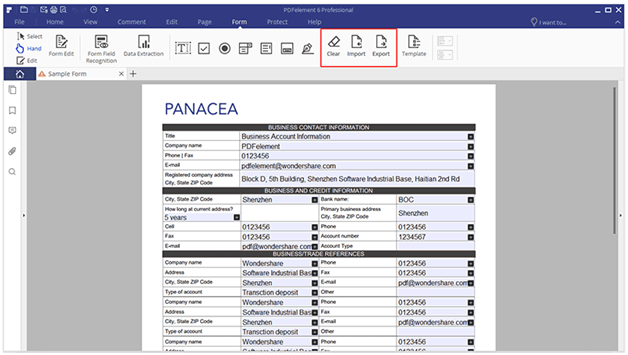 This allows you to make adjustments to various aspects of your documents ranging from fonts to styles. In addition, you can rest assured that you will make the amendments without affecting the original format of the document. 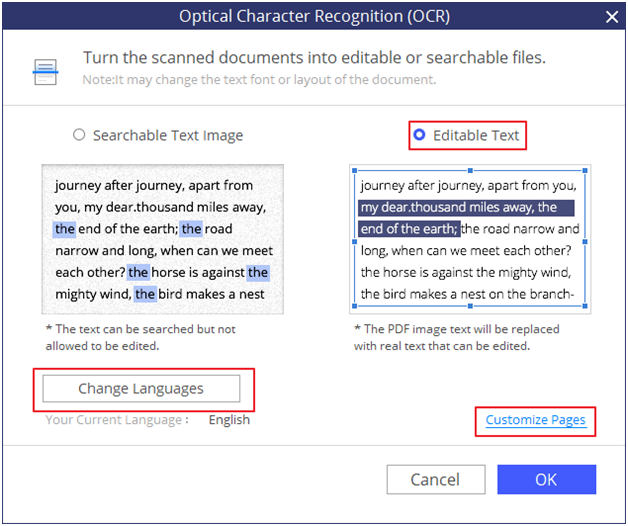 Additionally, you can also edit files that have been scanned by using the optical character recognition feature. This feature allows you to search and select messages in over 20 languages. Furthermore, the spell check feature will enable you to make corrections on spelling mistakes or typos that may arise. There are very few PDF editing software that can improve your content the way PDFelement can. This PDF software will enable you to convert your document into a professional PDF file from over 300 file formats. Moreover, you can merge files and reorganize files without having to worry about their original format. With PDFelement, you will enjoy unlimited opportunities to convert your documents to suit the style or format you desire. You can also split many files into manageable documents with different formats before extracting them to a location of choice. This feature will also go a long way in enabling you to convert batch documents easily. With form recognition technology, you will enjoy improved productivity since you can transform documents into appealing forms. This will ensure that you save time and avoid handling tedious paperwork. 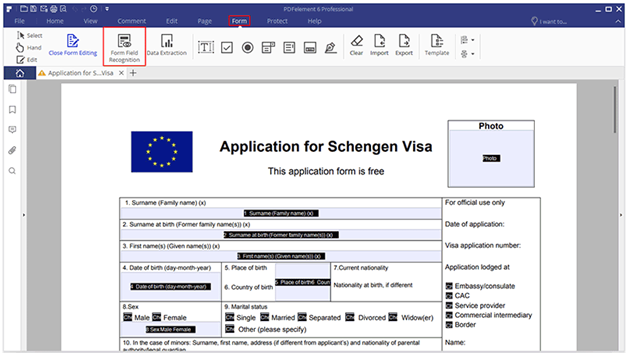 Furthermore, non-fillable forms can be converted into editable PDF forms. This can be done through introducing additional fields. PDFelement promises to revolutionize document automation technology by helping to eliminate manual handling of tasks. 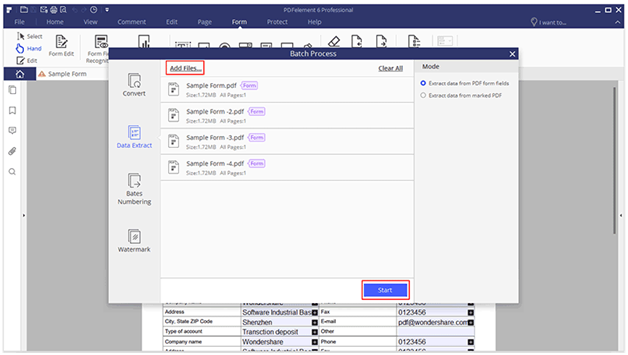 Custom data or scanned forms can be extracted easily with the extraction rules being activated for all files which have a similar layout. Enjoying a seamless text editing process will play a key role in ensuring you get the job done on time. The smooth and friendly editor will ensure that you prepare content in the format or style that you desire. Additionally, you can also fix your offline documents without having to worry about the documents losing their format or layout. You can change words, lines or whole paragraphs. Style and fonts are preserved by default whereas typos and spelling mistakes are automatically corrected by the spell checker. The security of your documents is very important as they might contain very sensitive information. The 256-bit AES encryption will come in handy in securing your data which allows you to customize and manage signatures. In addition, you are able to assign specific users the mandate to edit the documents. PDFelement is best suited for teams and not individuals. The corraborative features enable you to make comments, highlight, mark or add well known shapes and diagrams which are easily understood by your team. Creating your forms/documents in the style you desire is certainly a sure way to achieve uniqueness. PDFelement presents an opportunity for you to create forms with your own checkboxes, buttons and text fields. More to that, you can convert scanned documents into files that can easily be opened and edited which you can later export to your desired format. If you have more idea and views on PDFelement, we appreciate you create a video after the free trial and upload to your personal channel, so that you have an opportunity to receive $5,000 reward. Hurry, check it now.